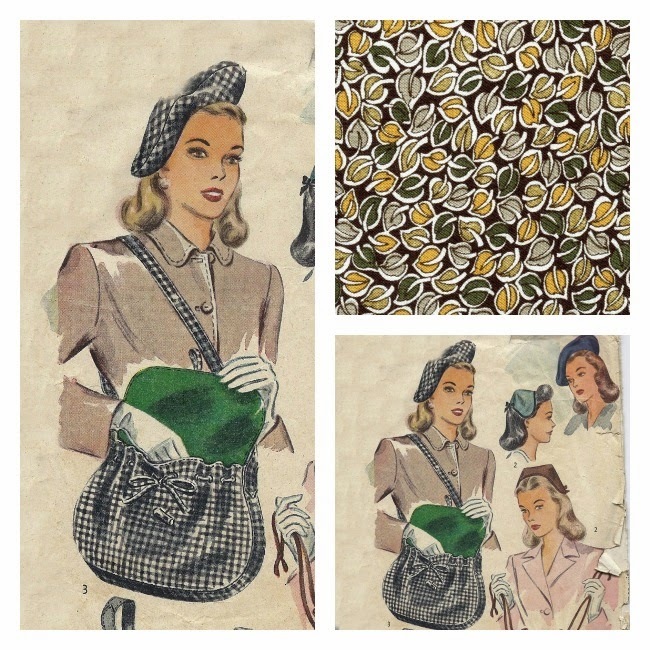 I love a great novelty print or reproduction fabric but vintage fabrics are often limited and repro fabrics can get expensive. 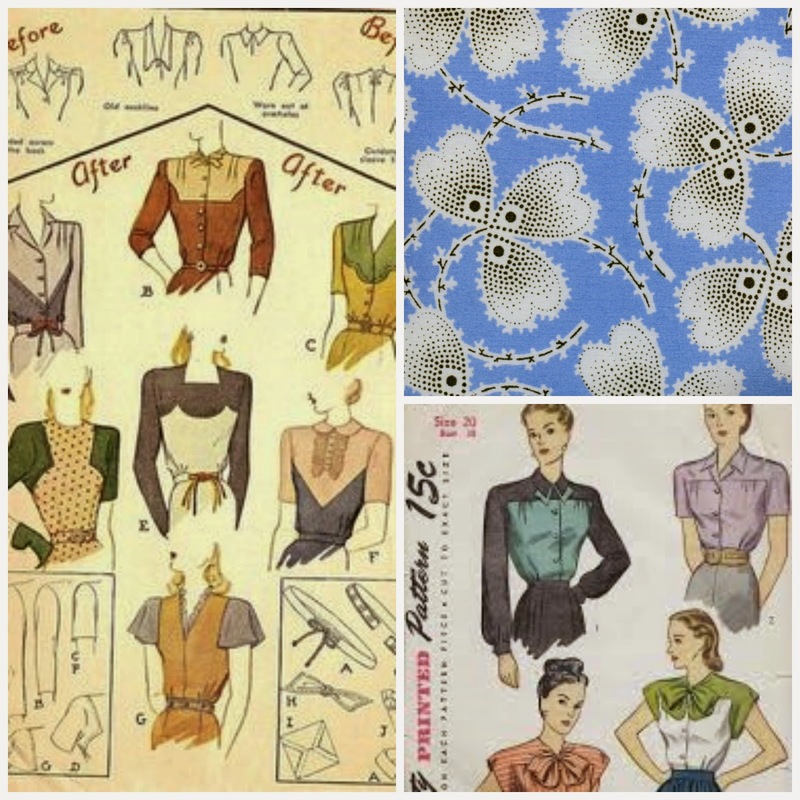 Here's some inspiration for using small amounts of a wonderful print in your vintage sewing projects. These exquisite fabrics are available from Time Capsule Fabrics, specializing in period- correct fabrics from the 1920s-1950s. look for creative ways to use small amounts of prints in a dress like collars, pockets, sleeve cuffs and yokes. Add bows in a great print to the neckline. Add a splash of color to your outfit with hats, bags, scarves and other accessories with small amounts of prints. During the time of make do and mend, a girl used what she had to make the most of her wardrobe. A great feedsack print or old dress makes a colorful blouse yoke or vest. 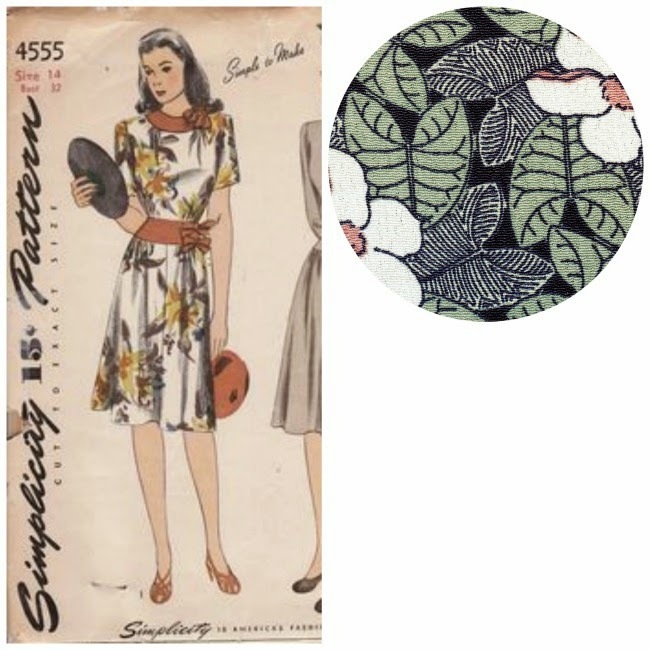 Swap places with print placement as suggested on the pattern envelope. This dress would be gorgeous in a solid with that beautiful tropical print as an accent. 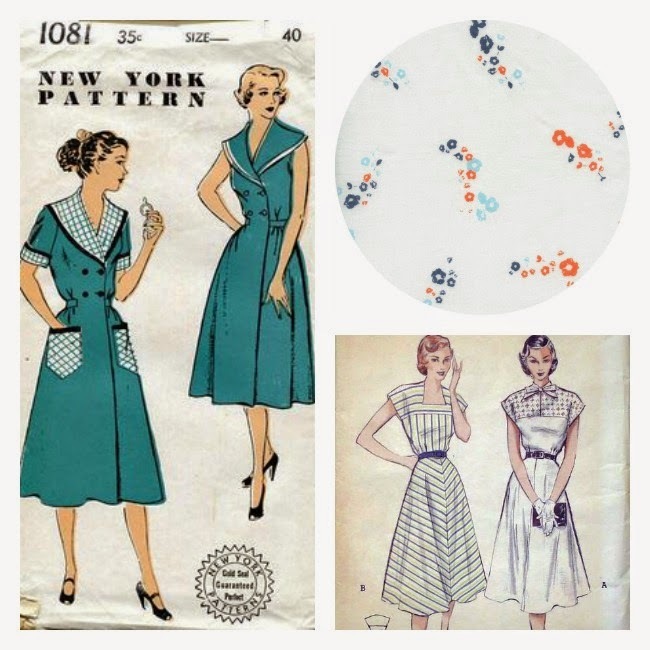 Time Capsule Fabrics is a sponsor of Va-Voom Vintage. I've been looking for fabrics like these! I'm going to check it out now! Gorgeous ideas! And I am also loving the new blog layout!